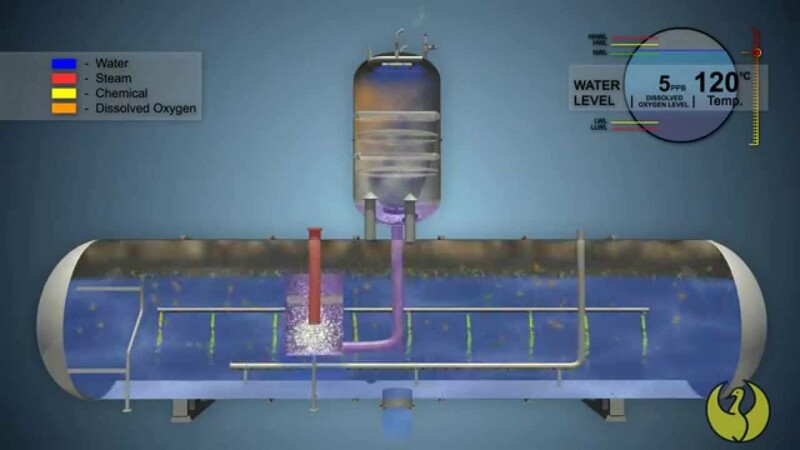 Undissolved carbon dioxide acidifies boiler water, causing a buildup of highly corrosive carbonic acid. It threatens the entire boiler system. Even worse, dissolved oxygen water makes the carbonic acid 40 percent more corrosive. So how can you combat this corrosive gas duo? Because its molecules stick together so tightly, water has a very high surface tension. In other words, it doesn’t like to let go of the undissolved gases inside. That’s where a good spray deaerator comes in. The boiler’s unaerated feedwater passes through the deaerator’s stainless-steel spray valves and forms a very fine spray. As it’s exposed to steam, the spray releases most of its corrosive gases. Then it’s funneled down through a second chamber with even hotter, cleaner steam where residual gases are dissolved. The deaerator vents to released gases into the atmosphere and returns the gas-free water to the boiler’s storage area. Replacing a commercial boiler can be prohibitively expensive. Equipping yours with a spray deaerator to extend its life and reduce its operating costs can pay off in a big way!